Slowers are beautiful, organic, vegan shoes, designed to walk at a different pace. What are our shoes made of? 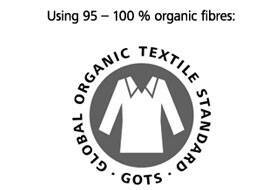 In Slowers we only use certified organic textiles. We don't use leather, or synthetic or unsustainable textiles. The soles are made of jute, cork and natural rubber. All models are manufactured in Elche, Spain, in a family workshop that meets European standards. Are all your models vegan? 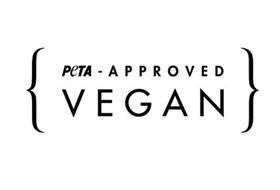 Yes, we do not use any products derived from animals and all our shoes are approved by PETA (People for the Ethical Treatment of Animals). What if they don't fit me? On the product page you’ll find all the information about sizes. The photos are of the highest quality so you can clearly see the models, colors and prints. However, once they arrive, if you find that they don’t fit properly or you don’t like them, you can exchange or return them. All the information is provided below. The online store is the only place where you can find all the available models and colors. Another option is to buy in any of the wonderful shops selling Slowers. They are all listed on the "stockists" page. Here is a size conversion chart for other systems. How do I care for my Slowers? Use a damp cloth to clean the fabric. Remember that it is fabric and rubbing might change the color. At the end of the season, or sooner if they are very dirty, you can clean them more thoroughly with a quick wash program in the washing machine and then let them dry in the sun. Yes; once your Slowers arrive, if you find that they don't fit you, or they are not what you expected, you can request a change of size or color. In Spain (península) changes are free for orders over 50 euros. In Spain (Baleares and Canarias) and Europe you will be responsible for paying the cost of shipping them back to Spain, and we'll send the new pair free of charge. For the rest of the world you will be responsible for paying the full costs. Yes, if you decide you do not like them you can request a refund by sending an email to cambio@slowers.es. In Spain (península) returns are free for orders over 50 euros. In Spain (Baleares and Canarias) and rest of the world, you will be responsible for paying the full costs of shipping the package back to Slowers. The shipping costs depend on the country. SPAIN - Free from 50 euros. 5 euros for smaller orders. In Spain shipments arrive in 24 to 48 hours, depending on the time the order is placed. In Europe, shipments arrive within 48 to 72 hours. In the US and other countries shipments arrive within 3 to 5 days. We accept payments by Paypal and credit card. Both options will appear at the end of the shopping process.